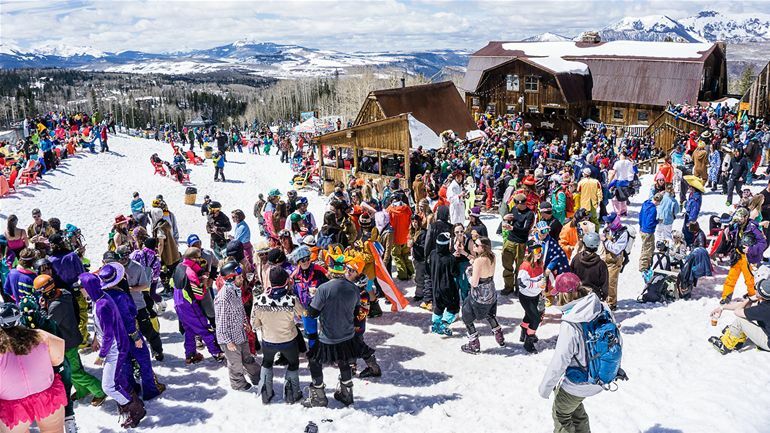 Blog Posts - Telluride Real Estate Corp. This tiny Mountain Town might be difficult to get to, but its bustling dining scene far outpaces that of other far larger resorts. 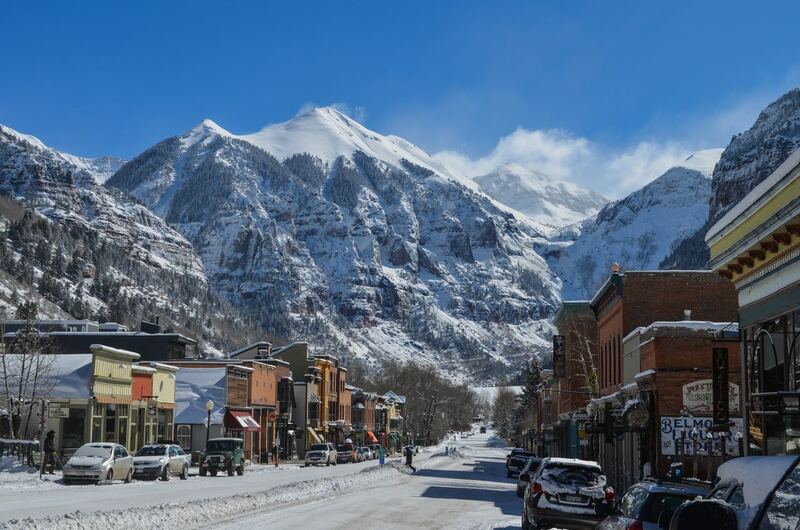 Telluride has only about 2,500 residents, but that small size belies the depth of its dining scene. Here, you can find just about everything you’re craving, from Thai and Mexican to Middle Eastern and New American. There’s also Detroit-style pizza, steak house fare, stacked sandwiches, and damn good bloody marys to discover. Plan your trip, and go taste what this town has to offer. 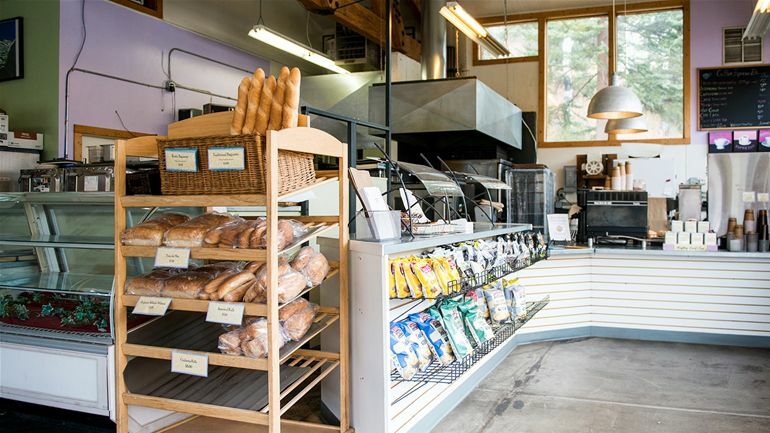 You’ll have to hunt to find CindyBread, which is in Lawson Hill, but if you can find Telluride Brewing Company, you can find this locally owned bakery. Most of the breads are baked fresh daily and sandwiches get the royal treatment. Don’t miss the Emma with artichoke hearts, grilled eggplant, tomatoes, roasted red peppers, fresh mozzarella, basil mayo, mixed greens and balsamic vinaigrette tucked between the bakery’s signature tomato focaccia roll. And…there are cookies! If you’ve ridden Chair #4 you’ve likely spotted Goronno Saloon from above. The tiny bar is housed in an old wooden outbuilding alongside Goronno Ranch, the lively on-mountain restaurant during ski season. The bar is always busy: it’s a cozy haven on snowy days when the fireplace blazes and it has a line out the cabin door on sunny days. Order what you will—beer, bloody marys, hot toddys, and bask in the rustic vibe. Walk by this corner bar on any given night and you’ll be lured in by the seductive lighting, the intimate space, and the promise of good food and drink. Initially folks discovered There while waiting for a table at Siam (the two spots sit cattycorner from one another), but the bar has since come into its own — even spawning a Denver location. Go for small plates and the signature jam cocktails where you pick your spirit and a housemade jam mix-in. Tom kha soup, choo-chee chicken, roti, beef satay…by now anyone’s mouth should be watering. 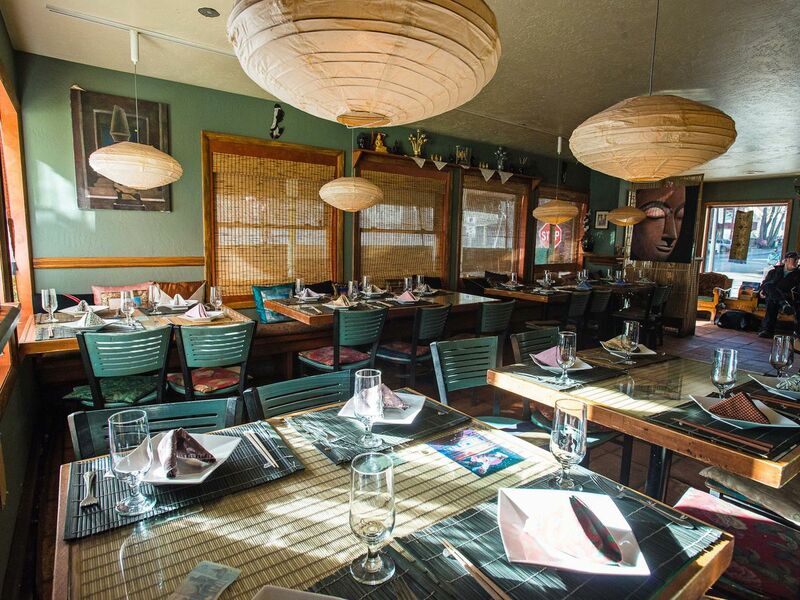 Siam and its Thai-inspired cuisine has garnered a devout following since opening in 2006 and that loyalty will help the restaurant as it navigates new ownership. On a previous visit, the handroll portion of the menu was unavailable but that hasn’t stopped the masses from showing up. 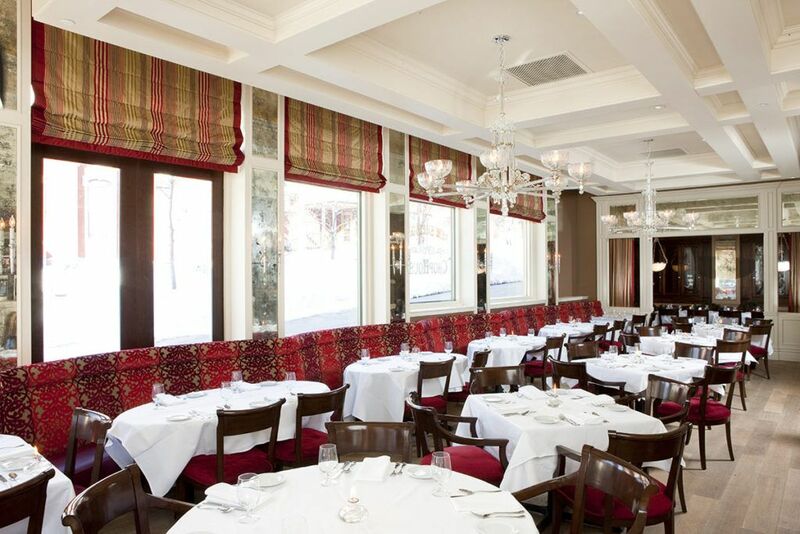 Arrive early to nab a table. There are times when one reads the description of a dish and you already know there are too many ingredients vying for attention. That is not the case at 221 South Oak, where one-time Top Chef contestant Eliza Gavin mines her Southern upbringing, her years spent cooking in New Orleans and Napa, and her training at culinary school in France for inspiration. 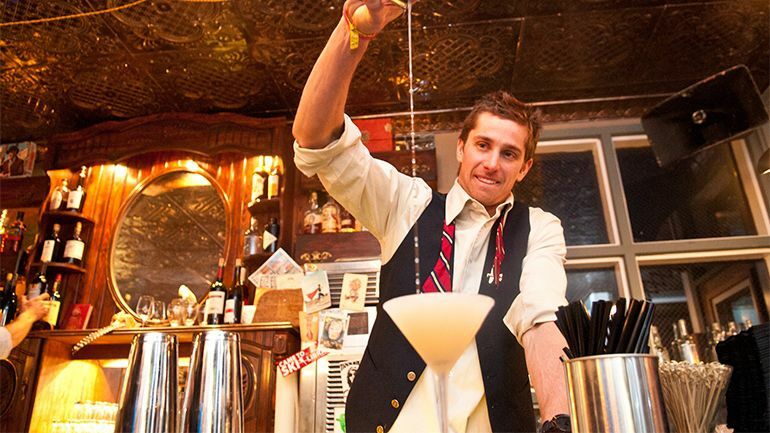 Even with so many influences working at once, Gavin has a knack for distilling flavors. While most everyone talks of the steaks at this old-school (and expensive) steakhouse, it’s really breakfast you should seek out. Located in the hotel’s grand lobby, the menu includes the usual suspects: omelets, eggs Benedict, house-made granola. The real find is the chilaquiles, and you can add steak tips for an additional $9 to make it all the more hearty. Tip: When the weather is warm, don’t miss heading up to The Roof, Telluride’s only rooftop bar. Every town needs its staple pizza spot, and Brown Dog is Telluride’s. 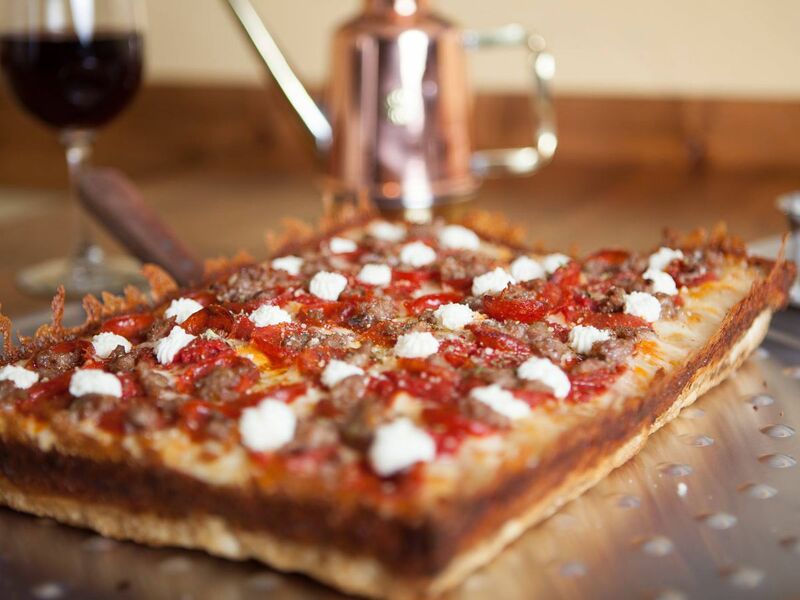 Along with Chicago Deep Dish and New York pies, Brown Dog offers Detroit-style pizza, which is rectangular, thick-crusted, and caramelized on the bottom. Don’t miss the award-winning 3-1-3, a white pizza with ricotta, Genoa salami, Calabrian red chiles, sweet piquante peppers, basil, arugula, and shaved Parmigiano Reggiano. If this combo sounds familiar, Denver, that’s because when the owners of Brown Dog opened Blue Pan in West Highland and Congress Park, they made sure that pizza was on the menu. Mexican food that’s healthy? Or at least healthy-ish and made with whole, mostly organic ingredients? That’s Cocina De Luz. 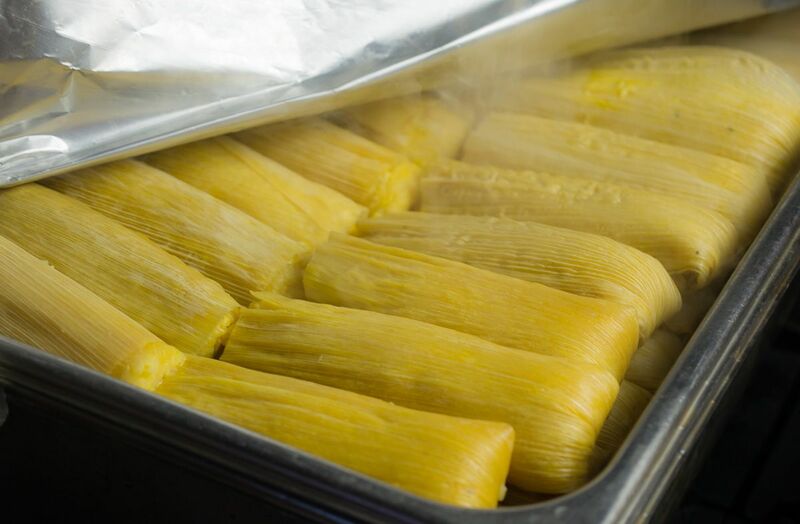 The vibe is casual and order-at-the counter but the food is exquisite — the posole and vegan tamales in particular. Don’t come expecting TexMex, but do visit the chips and salsa bar, check out the fresh-pressed juice menu, and order a scoop of just-churned ice cream. For a mountain town of roughly 2,500 it’s remarkable to find a Middle Eastern restaurant that does the cuisine justice. And that’s just what Caravan, a food truck stationed on the La Cocina De Luz patio, set out to do. 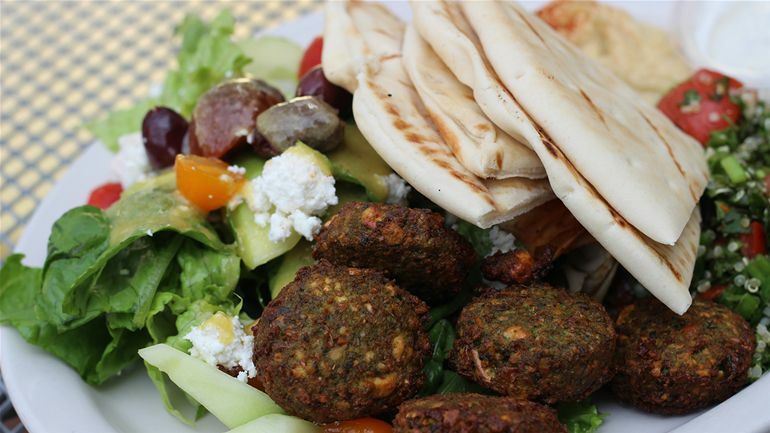 Browse the menu of lamb kofka, chicken shish kebab, falafel, hummus and know you can’t go wrong — and if you can’t decide, order the mezze vegetarian sampler plate. Bonus: Check out the smoothie menu.